Úvodní citace ze seriálu Červený trpaslík zdobí začátky listingů eventů od roku 2010. Od té doby jsme Den polévky gazpacho slavili formou odpoledního eventu, multieventu, celodenního eventu a nyní formou celovíkendového eventu. Vítejte na 9. ročníku Dne polévky gazpacho! To je stejně zvláštní, kolik lidí ty gazpacho eventy dovedly na pokraj šílenství. Pan Lister navštívil jediný ročník a pokoušel se udusit cibulovým sendvičem. Místo konání zůstává stejné jako poslední dva roky, tedy prostory hotelu Ilf v Praze na Budějovické. What is Gazpacho soup day? It was the greatest night of my life. I’d been invited to the Captain’s Table. I’d only been with the company fourteen years. Six officers and me! They called me “Arnold.” We had gazpacho soup for starters. I didn’t know gazpacho soup was meant to be served cold. I called over the chef and I told him to take it away and bring it back hot. He did! The looks on their faces still haunt me today!! I thought they were laughing at the chef, when all the time, they were laughing at me as I ate my piping hot gazpacho soup! I never ate at the Captain’s Table again. That was the end of my career. The opening quotations from the Red Dwarf series decorate the begginings of the event listings from 2010. Since that time we celebrated the Gazpacho Soup Day in the form of an afternoon event, multievent, whole-day event and now in the form of the whole-weekend event. Welcome to the 9th year of Gazpacho Soup Day! The whole event takes place at the same location as it did for the last two years, which means in the Holet Ilf in Prague at Budějovická. Schönster Tag meines Lebens. 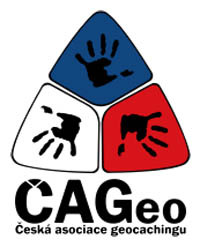 Ich wurde zum Kapitäntisch eingeladen unter der Vorraussetzung, dass ich bei diesem Unternehmen nur 14 Jahre anwesend bin. Sechs Offiziere und ich! Ich wurde Arnold genannt. Als ersten Gang gab es die Gazpachosuppe. Ich wußte nicht, dass sie kalt serviert wird. Ich liess den Koch zu mir kommen und bat ihn, die Suppe warm zu machen. Er machte es! Der Ausdruck in allen Gesichten verfolgt mich bis heute!! (weint) Ich dachte, sie lachen über den Koch, aber die ganze Zeit wurde ich ausgelacht, während ich die warme Gazpachosuppe aß! Und seitdem saß ich nie mehr am Kapitantisch. Das war das Ende meiner Karriere. Das Eröffnungszitat aus der Red Dwarf Serie ist zu Beginn der Eventlisting von 2010 enthalten. 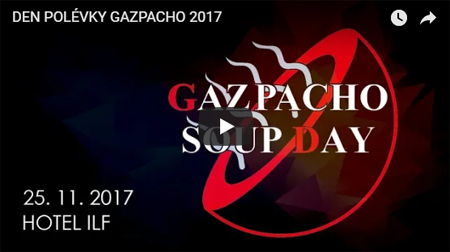 Seitdem haben wir den Gazpacho Soup Day in Form einer Nachmittagsveranstaltung, eines Multievents, einer ganztägigen Veranstaltung und nun einer ganztägigen Veranstaltung gefeiert. Willkommen zum 9. Jahr des Gazpacho Suppentages!